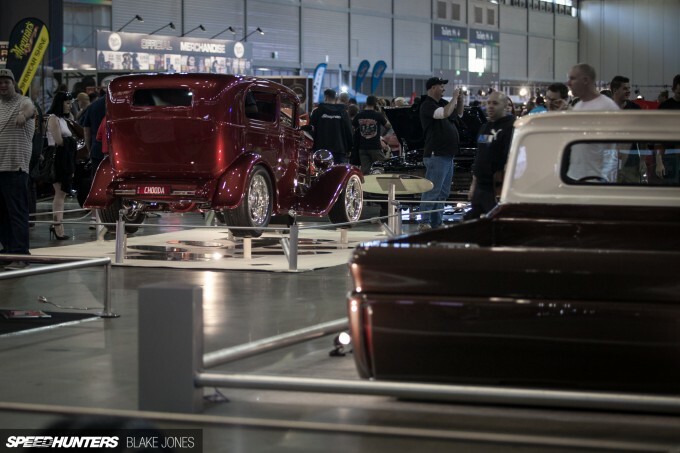 This weekend just past saw Australia’s largest gathering of custom automotive machinery form under the banner of Meguiar’s MotorEx. The show alternates between the country’s two largest cities and 2015 was hosted inside the cavernous halls of Sydney Showground in the former Olympics district. 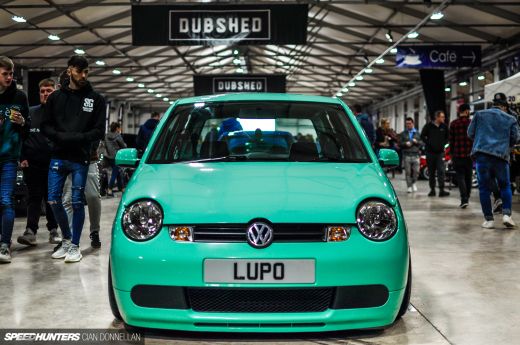 Now, before I start I must confess that car shows like this aren’t usually aren’t my thing. 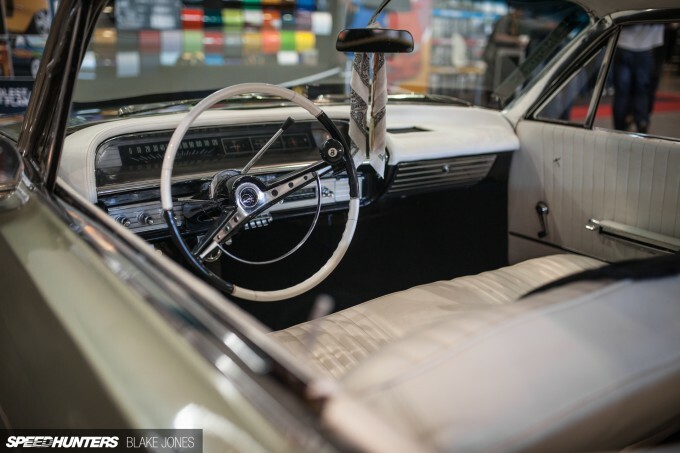 I consider any time that a car spends off the road to be lost time – whether that be sitting on a show stand or the months, maybe even years of preparation beforehand. 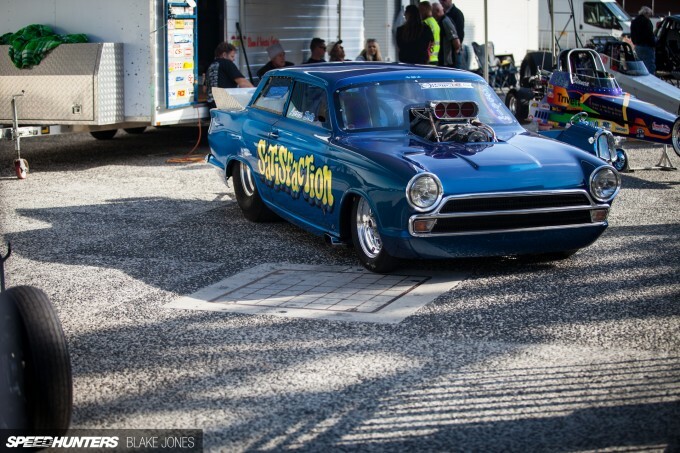 Some of these show cars will eventually find their way to a dragstrip or burnout pad of course. But many are built to be admired standing still. 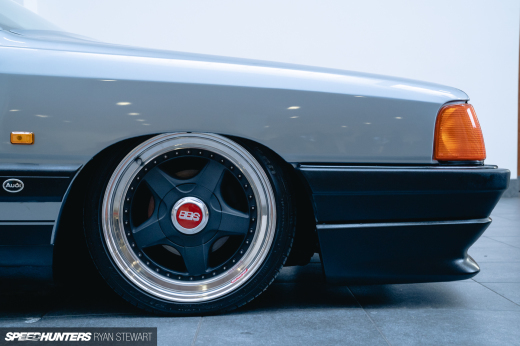 However, I was willing to tuck my preconceptions into my back pocket and hunt some speed, as prior to the weekend a few close friends had raved about the crazy cars that show up every year. 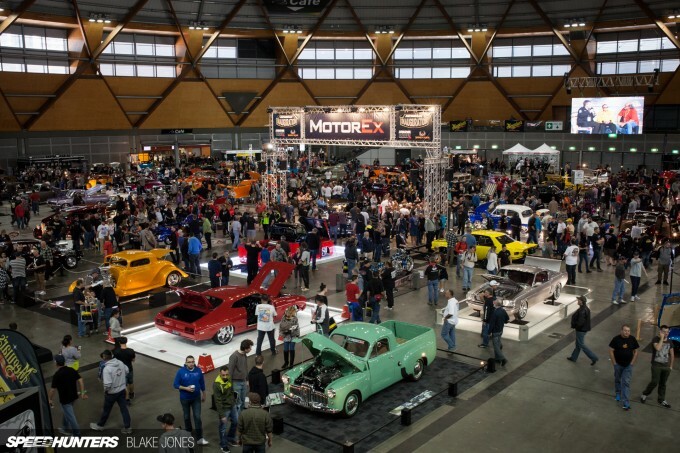 The jewel in the MotorEx crown is the ‘FreeStyle Rides’ inauguration, where fresh builds are revealed for the first time to the adoring public and to the critical eye of the awards judges. The cars are swarmed with admirers picking over the details and taking plenty of photos, which makes it almost impossible to get a clean shot. But as the holder of a media pass I had unobstructed access to the show hall for an hour before the public on the second day, so I spent some time with my favourite builds and grabbed some shots for this article. 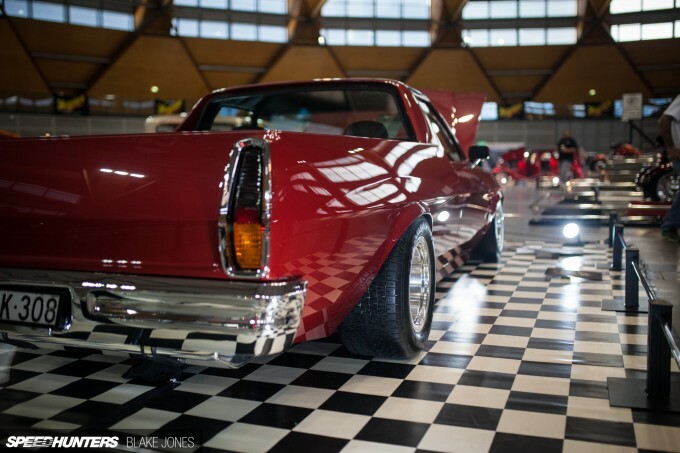 Period wheels and tyres made this Holden ute stand out from the crowd of 20-inch-plus billet wheels on the competition, but it was on closer inspection that the car began to truly impress. 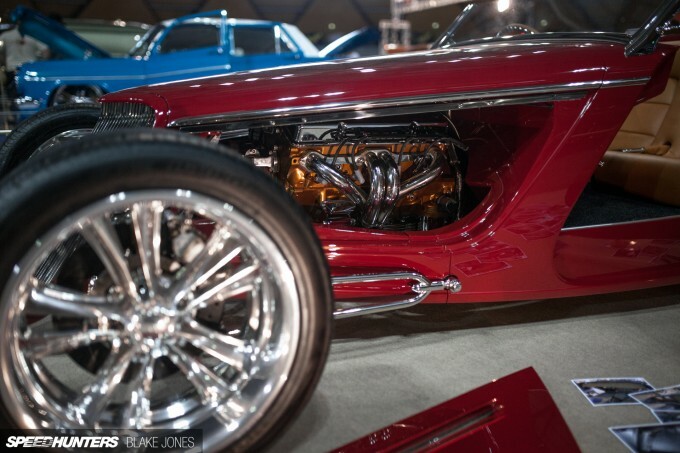 However, details like a pinstripe that ran through the whole chassis separating the rails from the body and a meticulously shaved engine bay apparently didn’t impress the judges enough to take home any awards. 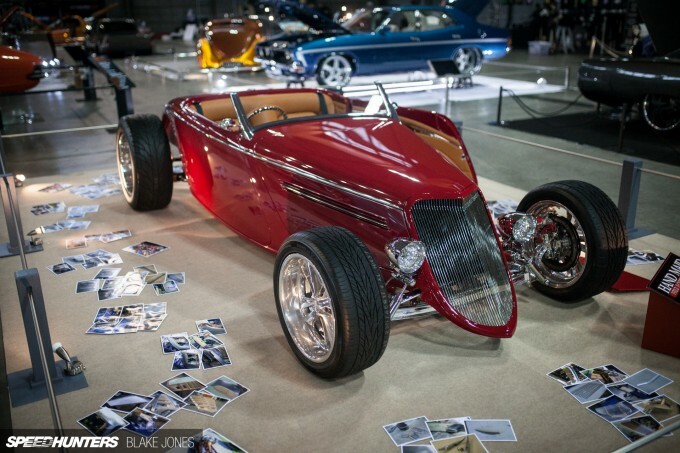 This ’33 Ford Roadster on the other hand snapped up a Pinnacle Award for Best Hot Rod and two medals of excellence: a gold for bodywork and a silver for engineering. I’m supportive of those who enjoy cars regardless of how they choose to do it, but awarding medals still strikes me as odd. Not that I could fault the judge’s choice here – the owner had built something I would happily cruise around in, although I can’t imagine that engine would stay clean for long. The rear end was a piece of mechanical art, and I’d hate to think how many hours went into the differential alone. Talking to a few owners, it was surprising to me how many of them had taken a very hands-on role in their respective builds. I’d incorrectly assumed such specialized work would typically be outsourced, but for a lot of these guys, these project cars are a culmination of years of hard work and an investment of both time and money. 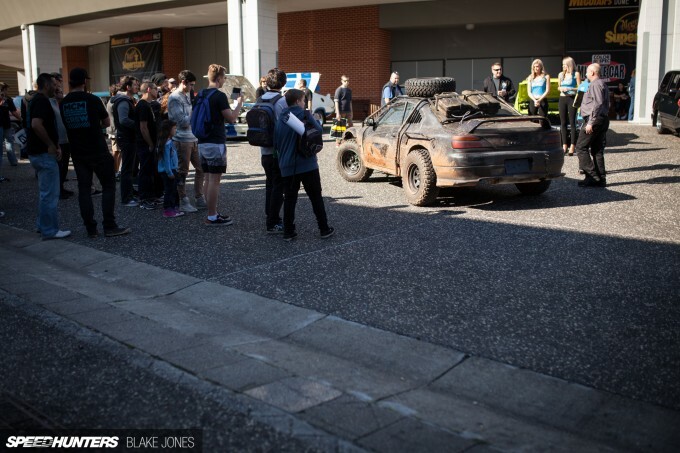 Getting crazy-low is a surefire way to draw attention to your build, clearly demonstrated here by a Holden Colorado that was completed just in time to be unveiled at MotorEx. From the rear you might be mistaken for thinking that someone had just left a chassis on the floor without wheels. Hmm, from this angle too! 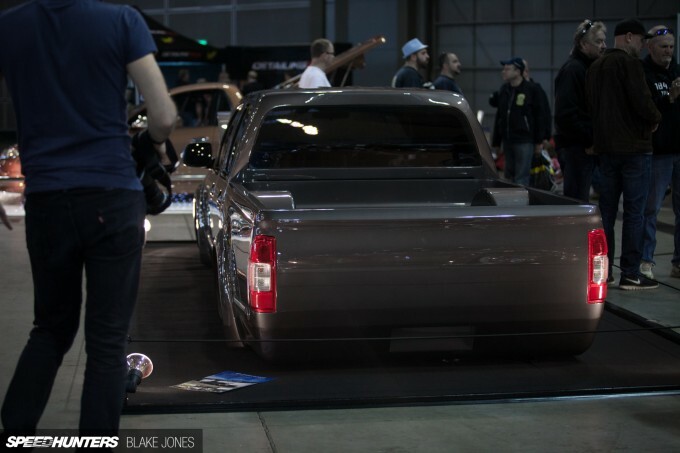 The ute, as could be expected, was running a pretty crazy air suspension setup and had also been treated to an LS swap. Love it or loathe it – I’d love to hear your thoughts in the comments section. 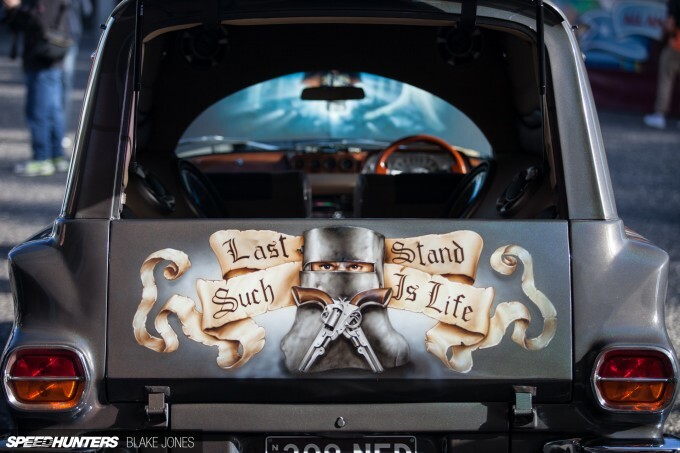 However, nothing is more Australian than a panel van with a Ned Kelly airbrush mural. For those that don’t know, Ned Kelly was an outlaw made famous for evading police and donning 45kg (99lb) of homemade metal armor for gunfights with the law. “Such is life” were his last words before being executed, and it’s a useful phrase if you find yourself being resolved to a dire situation. Australians in your vicinity will nod knowingly in approval. 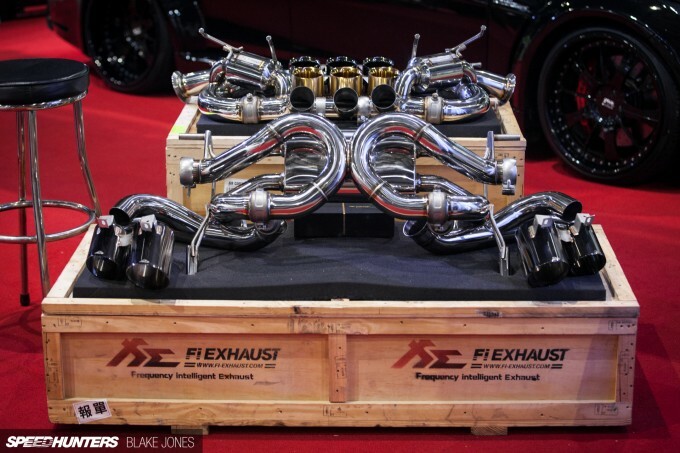 Tekno Performance is a growing Australian tuner that specializes in Holden Commodore enhancements, but it’s recently started turning its hand to European machinery. 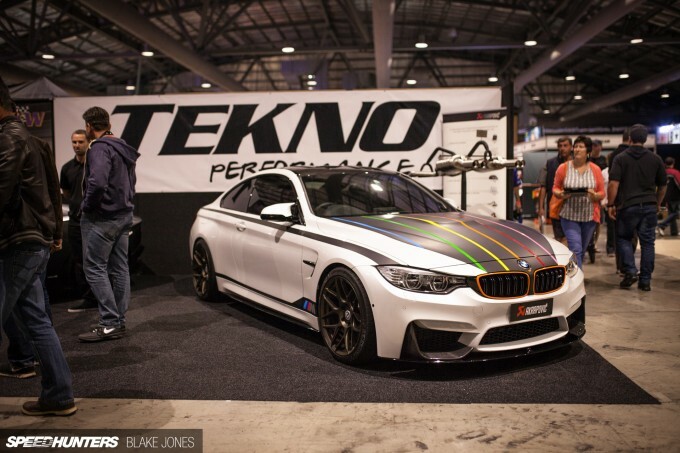 I’ll be keeping a close eye on what the Tekno guys come up with next. Are you familiar with the phrase, ‘Good from afar, but far from good?’ I think the opposite applied for me at Meguiar’s MotorEx. 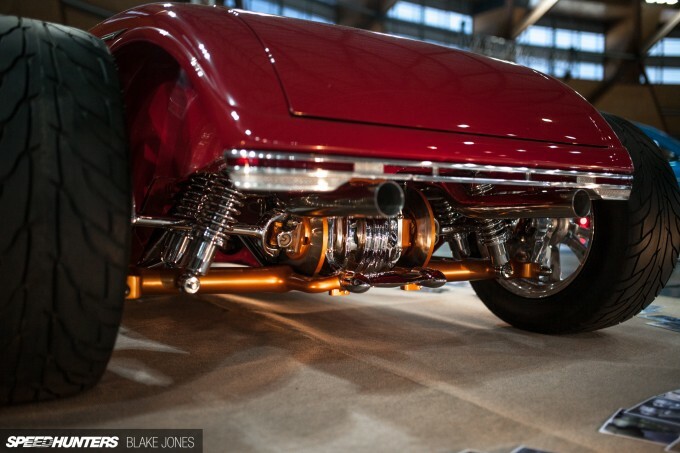 While many of the cars were way too outrageous for my personal tastes, the closer I got, the more I was impressed by the creativity and workmanship that had been put into these creations. Here, what started off as a dependable Toyota Hilux has been transformed into something wholly impractical, but captivating in concept and execution. Moving outside and another unorthodox approach to modification was turning heads. I’m sure many of you will be familiar with this car – the V8-swapped S15 from MightyCarMods’ YouTube series Mod Max. The guys were heading to the amphitheater-style dyno where they made a whole lot of noise, but slightly less power than I was expecting. However, the car that really grabbed my attention was parked just across the way – this absolutely slammed Land Cruiser 100 Series. Taking a car renowned for being extremely capable off-road and turning it into a rim-tucking, rail-scraping cruiser certainly takes somes balls. It gets driven like this regularly, which is pretty damn cool. From this angle it reminds me of a second generation Subaru Forester that ate a few too many cheeseburgers. 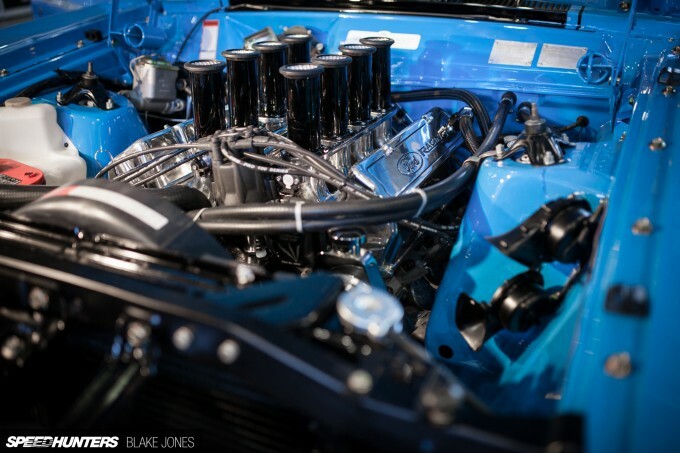 Pure performance cars weren’t completely neglected at MotorEx, but rather found themselves in the sidelines to the show cars. 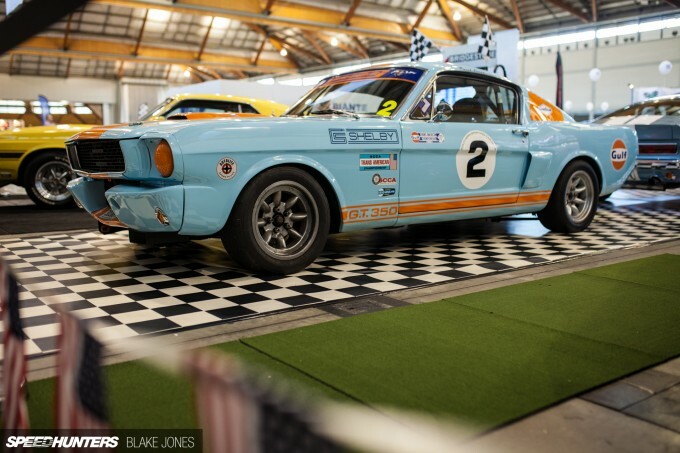 I had plenty of time for this fastback Mustang in Gulf colours. Some of Australia’s best dragsters were also on display, making me feel guilty for avoiding the strip in the last few years. 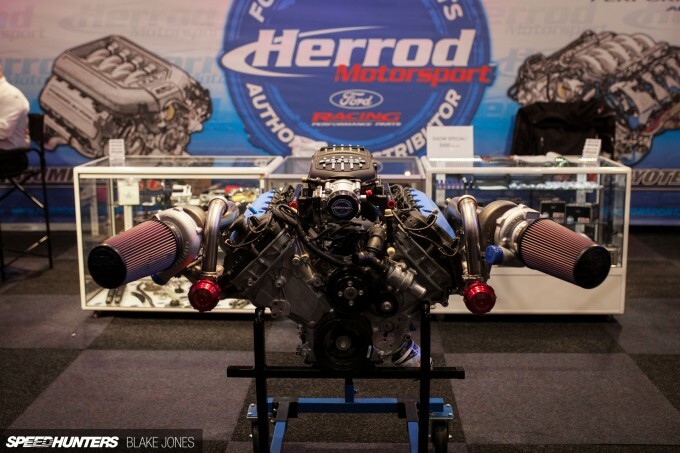 The drag racing scene is alive and well here, though some recent political maneuvers between Australia’s drag racing association and a group of premier racetracks have turned the sport on its head. 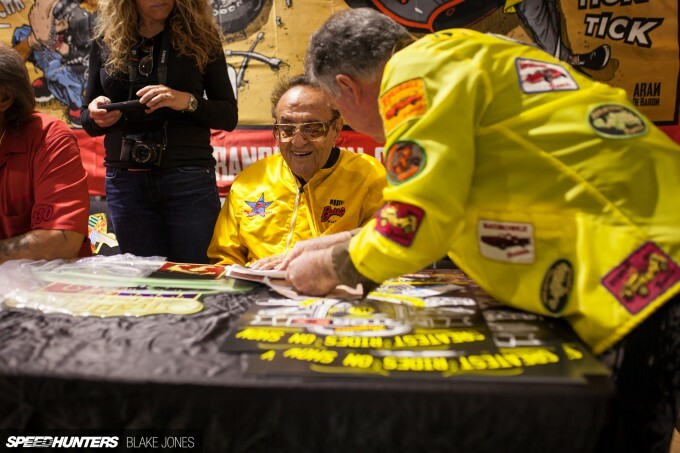 One of the big drawcards that MotorEx organised for 2015 was an appearance from octogenarian George Barris, a pioneering icon of ’50s and ’60s custom culture. As well as building seminal customs like the ‘Hirohata Merc’ (if you haven’t heard of it, Google it now! ), George was responsible for the design of countless movie cars. 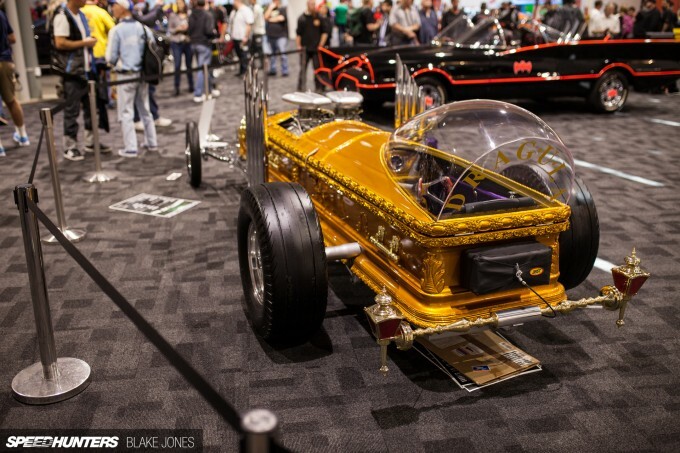 Here you can see a replica of The Munsters’ ‘Drag-U-La’ and the original ‘Batmobile’. 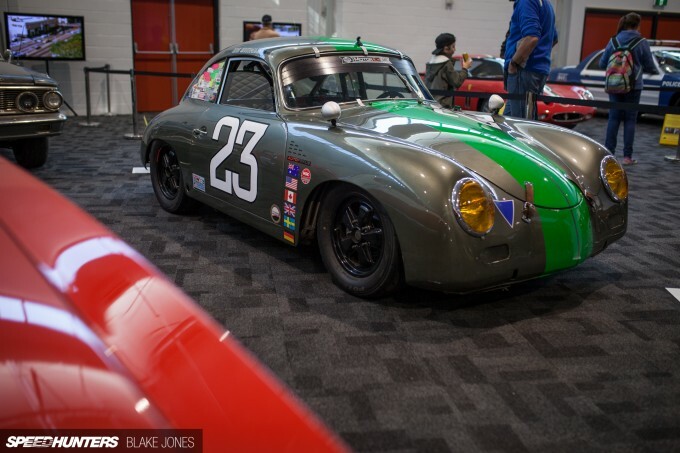 Those cars were part of a bigger collection of movie cars, including this beautiful 356 outlaw build by local racer Ron Goodman, which was captured in a great documentary on historic racing last year. 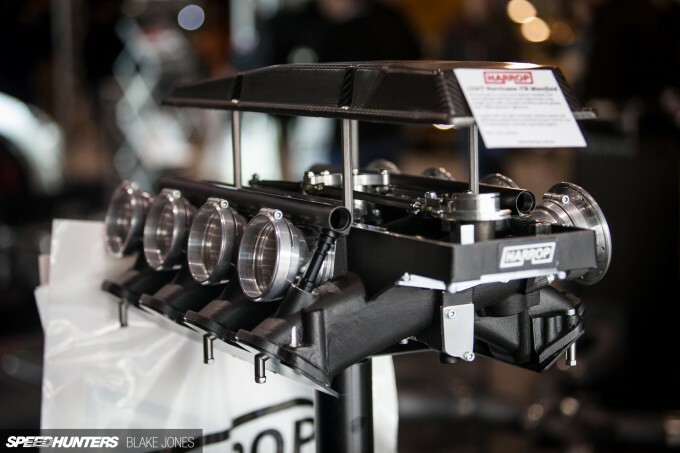 For me, one of the most enjoyable aspects of the show were the trade stands displaying the latest performance parts available from Australia and abroad. 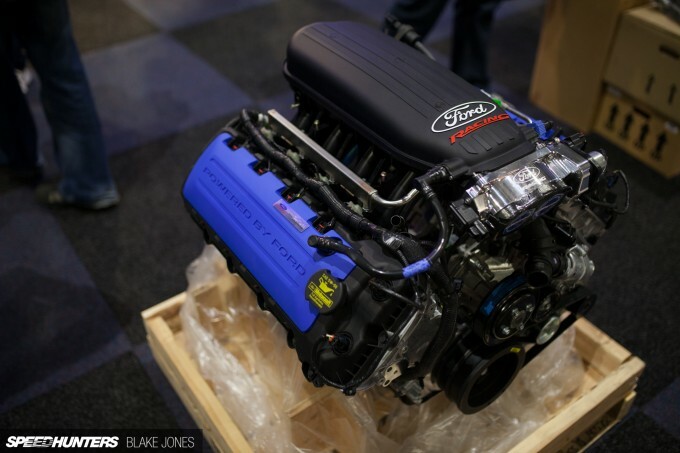 ‘Crate engines’ aren’t all that common in Australia, but I can only imagine the excitement of unboxing a factory-fresh motor destined for the bay of a performance build. It took me 15 minutes of wandering around to build my ultimate street machine from the parts on offer – just don’t show me the bill. 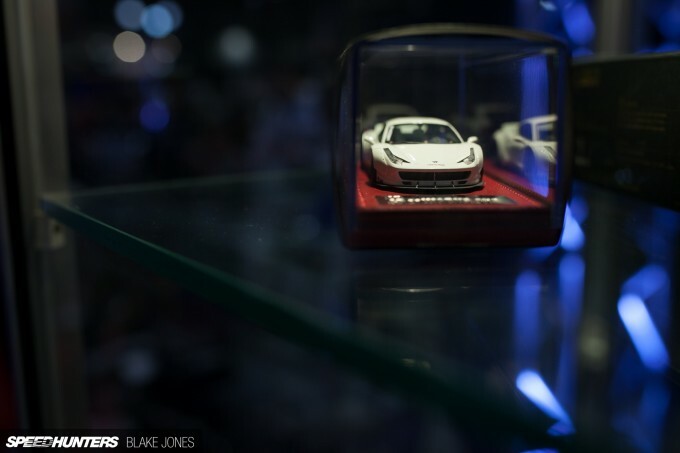 Slightly more affordable were some highly detailed Liberty Walk scale models, including this replica of a Ferrari 458 wearing one of the recognizable wide body kits. The man behind Liberty Walk, Kato-san, was attending the show as part of his first trip to Australia in support of the companies behind the country’s first LB-Performance builds. His celebrity status was confirmed by the legion of fans approaching with t-shirts and aforementioned model cars to be signed. The visual impact of these vehicles is second-to-none, and they drew constant crowds over the weekend. That’s it for now from Meguiar’s MotorEx, but I’ve got a few spotlight features up my sleeve so stay tuned for those. What, this is Sydney Australia, and you've only got 1 rotary?! watched the whole mod max build how about a feature? Love the mustang fastback and the 356. As for the Colorado, don't get me wrong I love slammed trucks/mini trucks, but sometimes when it gets that low the amount of tuck starts to look a bit odd to me, like you said it almost looks like it doesn't have wheels and the mud guards are folding up! 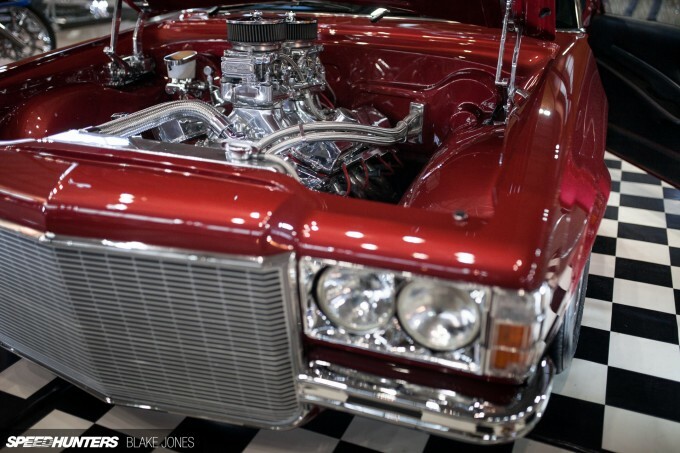 Super clean build nonetheless, I just like a bit more of a wide set look, which clearly couldn't get you that low. 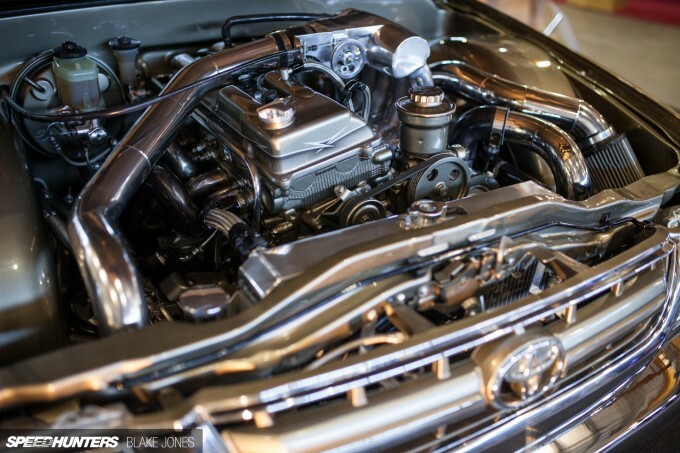 V8s are cool and all but that RX7 in the bonus images really caught my interest. The wheels especially. 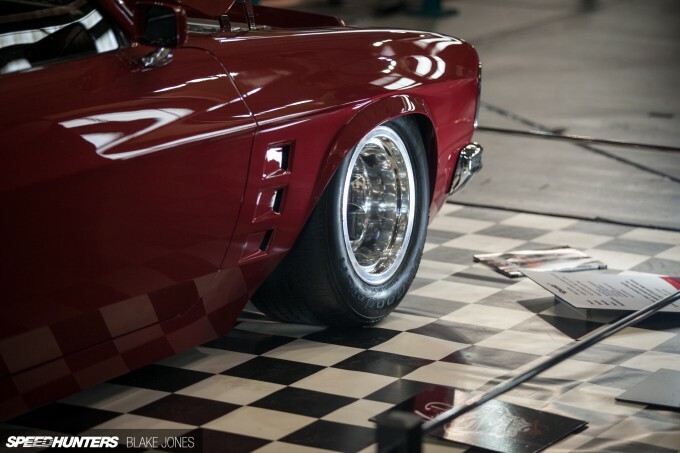 I've always wondered why Australian classic rotary builds always tended to go towards the large wheel and very low tire profile combo. It's about time someone showed the world the madness that is Summernats. "20s and slammed" is the bogan slogan. Bigger and lower is better. seal fish We can always hope there'll be a few spotlighted at a later date. rook56 Agreed, not a huge fan of the massive wheels that seem so popular over there. The judges may not have awarded the HZ(?) ute any gongs but I would happily take it home with me and fondle it lovingly at night. 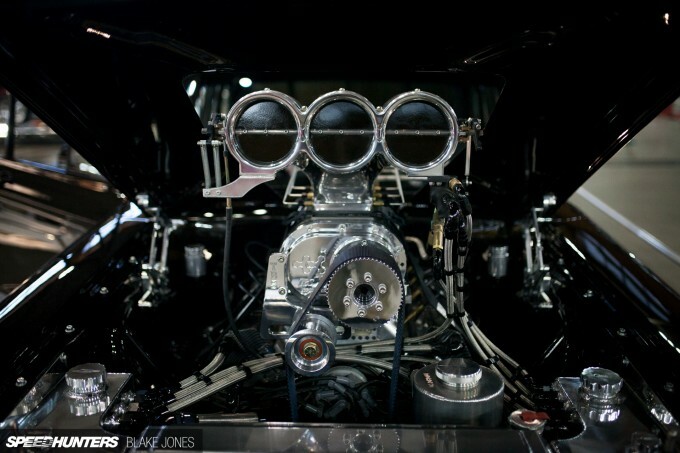 Looking forward to Summernats coverage, it may pay to explain the difference between an Aussie and American burnout. MeesKohneVonJaski Pretty sure MCM covered everything you need to know. We use 4th or 5th gear, get 40m of run up and at 100+ tip it in and off we go. Americans do 1st gear brake stands. I had a couple of mates from work go. 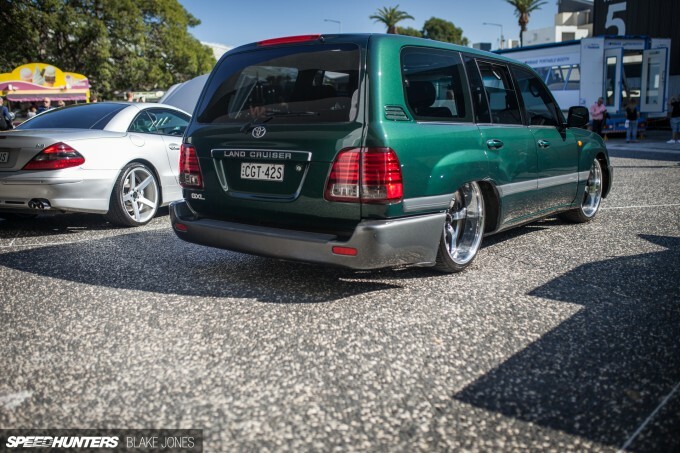 Looked over his pictures and still can't understand the Aussie obsession with putting such huge wheels (and tiny rubber band tyres) on their cars. Still, there were a few real beauties in there! Cool coverage and a great range of cars present. Funnily enough the 3 mini-truck builds stand out the most to me(Colorado, Hilux and Land Cruiser). 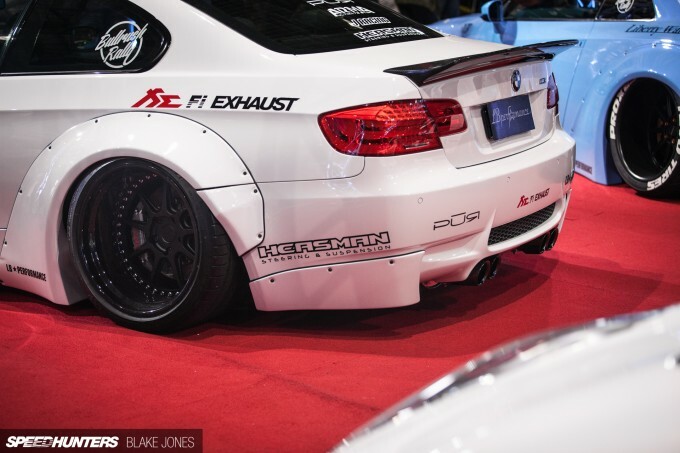 I just wonder, is it compulsory for every Liberty Walk/Rocket Bunny car to be covered in stickers? Is it the only way these can be paid for, by sponsorship? Why can't someone just build a clean one without all the distracting logo's and rubbish that is always plastered all over them. tunerguy21 Because no one has their own ideas or imagination(mostly in said Mazda scene). They are worried they'll get boo'ed for having the "wrong" wheels. Buy Simmons, it's easy, and if you dare to dislike Simmons(which I don't, in smaller sizes) you'll be yelled at in capslock by the sheeple fanboys. Pete the perfect pilot Especially when an RX3 won overall!! yooo this is mad! 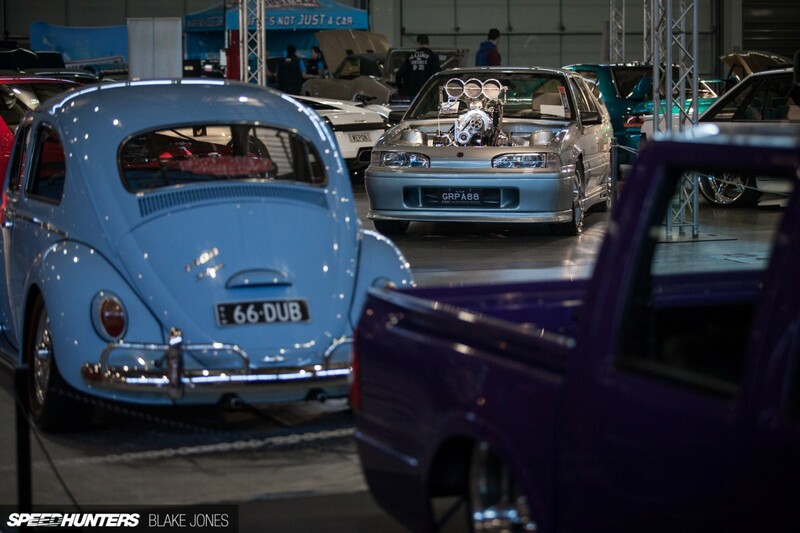 we need more Australian shows covered here, also need a lot more of australias rides shown here, you guys should come to powercruise QLD at QR on the 12/13th September!!!! Chris 'Haffy' Hafner a lot of burnout cars use a 3 or even 2 speed glide for burnouts.. but yes, we definatly use top gear 80-100kmh entries and tip in hard! I hate to say it, but these cars all look so bogan! Air brush spirit animals on the back. Huge wheels with thin rubber. Maybe even splash some 90's graphics down the side. I think they go far with the "OVER STYLING" and "MODS"
It's like a fancy dress party where you try and look as stupid as possible to stand out. End result is everyone looks absolutely ridiculous. Bunch of clown cars. It's like a fancy dress party where you try to stand out by dressing over the top (like an idiot). End result is everyone shows up looking ridiculous. Bunch of clown cars. 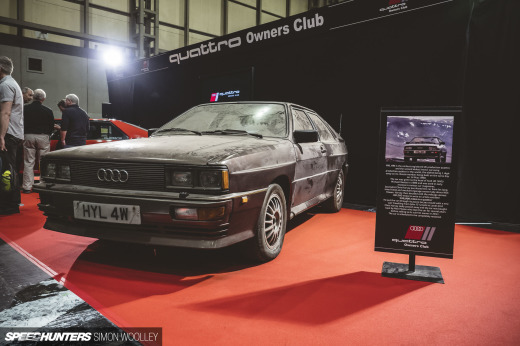 Given the quality of cars at the show and in general the quality of some builds current in Aus... i feel this is a some what disappointing article for speedhunters to share... Hasn't really done the show any justice. I think the cars would benefit from having bigger motors that at least go above the roofline of the car. Great article! 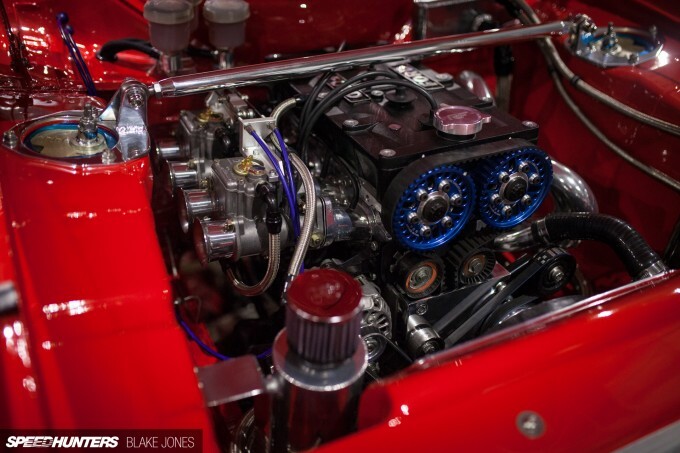 To me show cars also have an educational purpose and are works of art. We can then draw inspiration from these show cars for cars that will be built to be driven. Glad Aussie events are getting coverage on speedhunters. Melbourne and Queensland both have awesome car scenes too. If you ever come to Melb, we can organise a nice meet through MelbourneCarMeets(Lots of jap and eurpo cars with a large turnout of about 2000 people or HWY (even bigger turnout, more domestic cars and plenty of hooning) or an independant Speedhunters meet which would be amazing. 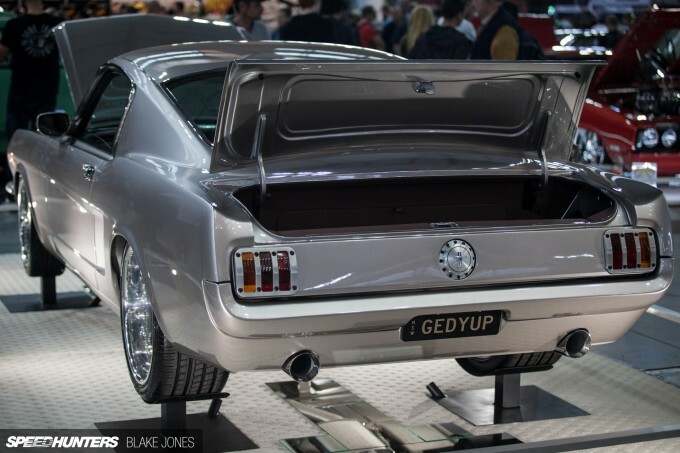 Im sure many awesome cars would turn out to show the world what Melbourne has to offer. love the mini truck coverage...the colorado, land cruiser, and hilux are perfect!! The Land Cruiser is AWESOME!!! Please make an articel about it.. The word mini should never be used with landcruisers imo. We need a better description for these land barges driven by the school brigade. 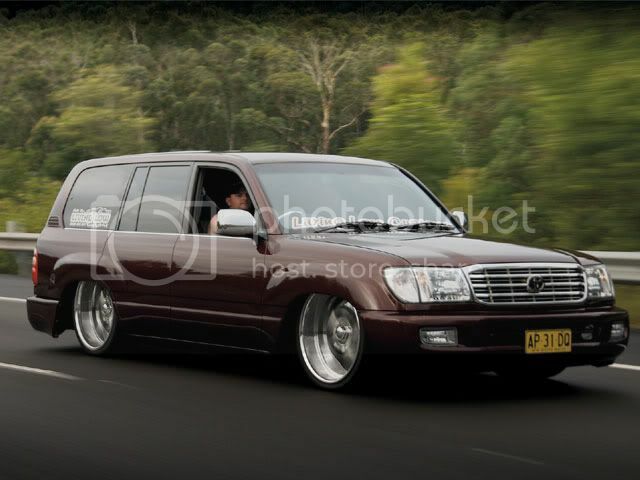 @Kaitoro it sits on a Hilux chassis, with coilovers at all corners and a 4 link rear (no bags)! DinoSawr I'm definitely going to head to Melbourne for some Speedhunting soon. I've seen some great cars getting around! 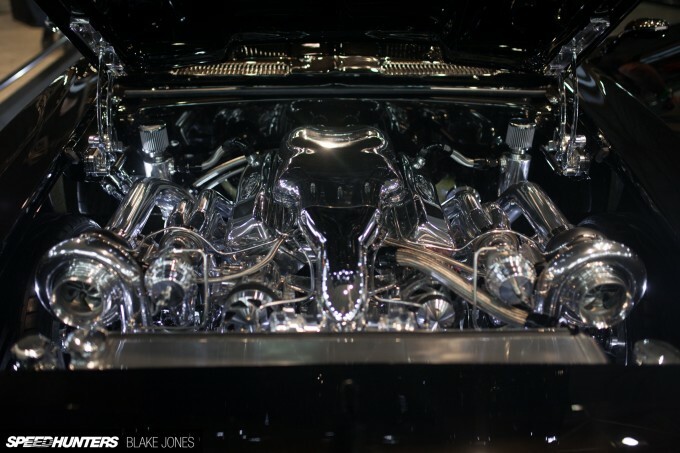 Flick me an email on blake@speedhunters.com and we can stay in touch. Unhappy Chappy I've got some spotlights coming, so stay tuned. It was a big show, choosing what to showcase was tough! theyoungaussie Thanks for the support mate! Blake Jones I haven't given up hope on you yet mate, don't stress. 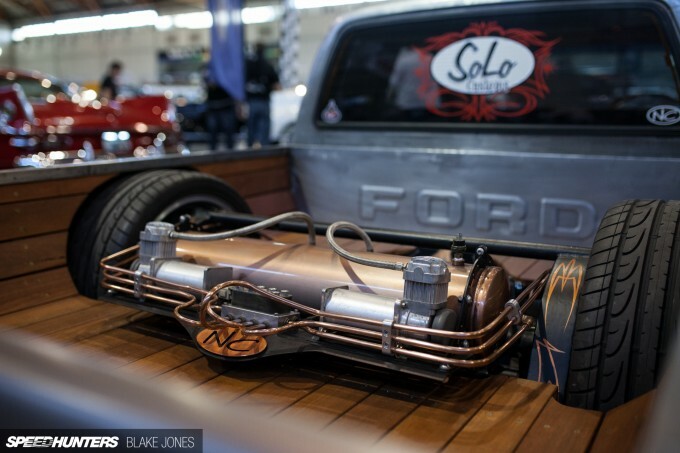 Here's to hoping you cover the FC ute built by down town customs. Blake Jones what camera do you use man? Australia always has some über cool stuff. It was originally sold here as the Holden Rodeo. Spaghetti tunerguy21 Hopefully this will start to change. I currently have a customer with a RX2 sedan getting a set of RSV wheels through Built To Order here in Sydney. Love the Australian goodness, had to stop reading the text though. Blake, you mentioned at the beginning you weren't going in with any pre-conceptions yet a couple paragraphs in you start finding multiple ways to interject thinly-veiled distasteful opinions. Whining about the way YOU think it should be takes away from your great pictures. Here's looking forward to seeing your experience and confident writing style develop! We're not talking 100% overdone skidrigs, just your local boys with 600odd hp commodores hanging it out on the local pads. 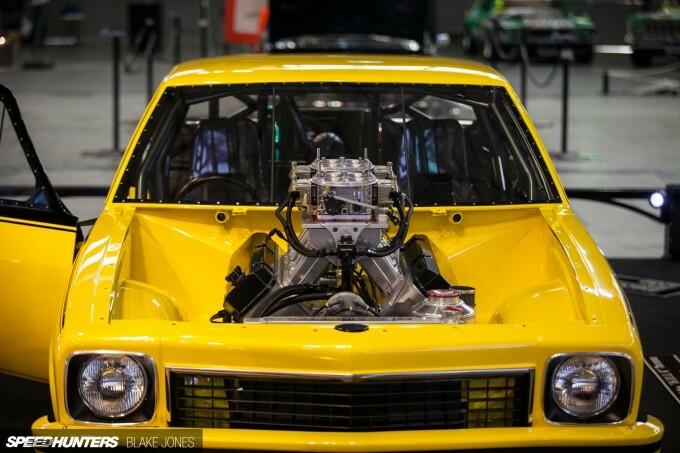 Speedhunters coming to Summernats!! Roll on January - keen to see what you can do mate! Niiiiice Maaaazda? Wheeeels ahn't big enough mate! Cahn't drive a rodary with anything less than 18s mate!